You can watch along as Greensky Bluegrass, Donna The Buffalo, Robbie Fulks & Linda Gail Lewis, and Andrew Adkins help us record episode #937 of Mountain Stage. With the freshness of 2019 comes Greensky Bluegrass who bring a new album titled All For Money. This band joined us for the first time back in 2011 and they're currently touring the U.S. through mid-September. Over the past 30 years, Donna The Buffalo has been able to claim quite the name for themselves along with a dedicated fanbase. Dance in the Street is their first album release in five years and was produced by Rob Fraboni, known for his work with artists such as Bob Dylan, The Band, Eric Clapton, and The Rolling Stones. We also look forward to hosting Robbie Fulks & Linda Gail Lewis, who released a collaborative album titled “Wild! Wild! Wild!” just last year. The album undoubtedly pulls you back in time and we can’t wait to hear them perform on our stage. From Fayetteville, W.Va., Andrew Adkins, is gearing up to release his album produced by Mountain Stage band leader, Ron Sowell, “Who I Am”. Adkins is well versed in the world of performance, as Tim O'Brien says, "His music and the stories he tells us are honest and real. Andrew reminds us that we're all in this together." 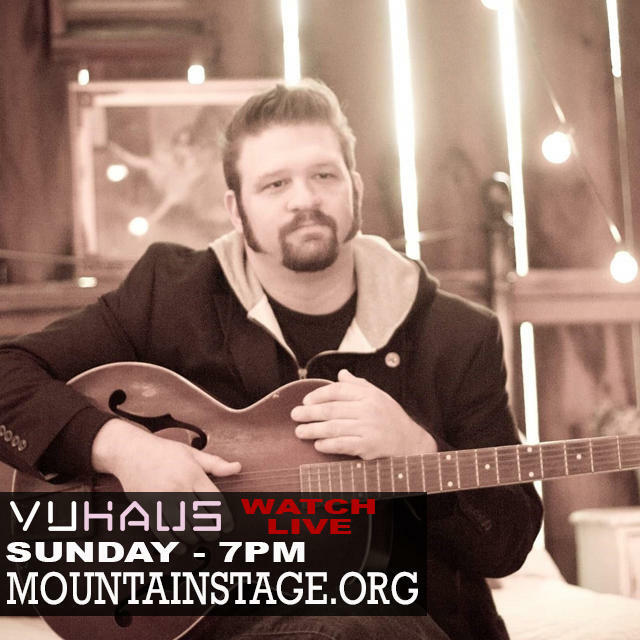 Just click on over to this post, VuHaus.com or MountainStage.org at 7p.m. EST and watch along. Be sure to send us a tweet and use the hashtag #MountainStage to let us know you're watching. You can be in the radio audience for performances by Leftover Salmon, Tim O’Brien’s Bluegrass Band, Matt Nathanson, Darlingside and more. Dailey & Vincent - "More Than a Name On a Wall" live on Mountain Stage. Dailey & Vincent's song "More Than a Name on a Wall" is what Larry Groce calls "one of the most patriotic songs ever performed on Mountain Stage." A beloved favorite for long time fans of Dailey & Vincent, "More Than a Name on a Wall" is for those who have lost loved ones who "died for God and Country in a place so far away."